New production capacities at the UAE’s Delta Food Industries will help it enhance exports to the Middle East and Africa and make operations significantly more cost-efficient, the company says. 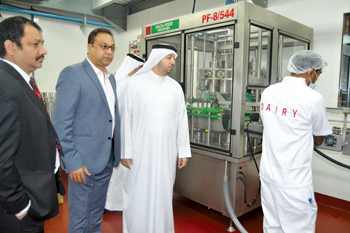 Delta, whose production facilities are based in Saif Zone, the acronym for Sharjah International Airport Free Zone, recently opened a dairy for making evaporated milk and cream and has booked a plot in the free zone to build a tin can plant that will meet in-house the company’s current and future packaging needs. 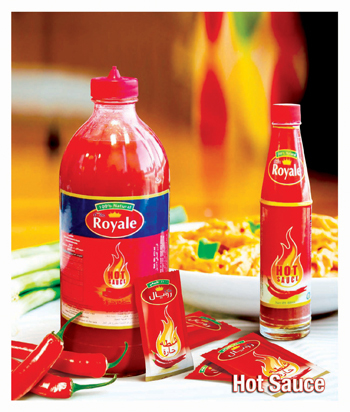 The company has been operating for the past four years a plant to make milk powder, tomato paste and ketchup, hot sauces, oats and custard powder. The new Dh40 million ($10.9 million) dairy plant houses the latest available production equipment in the industry and is capable of producing 250,000 cartons per month of evaporated milk and cream, said Shiraz Osman, founder and chairman of Delta Food Industries. “We are capitalising on the first four years of operation inside the Saif Zone,” said Osman. The company has a strong distribution network across 20 countries in the Middle East and Africa. “We are going to further increase our portfolio of products in two years’ time,” said Ali Parpinchi, Delta managing director. Saud Salim Al Mazrouei, director of Saif Zone and Hamriyah Free Zone Authority, welcomed the dairy plant, saying it was a sure sign that Saif Zone is progressing well. He added the new facility would enable the company to expand its network locally and regionally. This year Delta joined hands with Safdar Khatri and Sharad Anand of Anand Tin Containers Ltd to set up the can plant, which will minimise production costs and make it more competitive. The company is investing Dh60 million to set up the tin manufacturing unit over an area of 5,000 sq m. It will initially have capacity of 30 million cans per month and plans are it will serve the packaging needs of existing food products and new lines that Delta will introduce in the future including canned vegetables and fruits, flavoured milk and protein powder, according to Anand, CEO of Anand Tin Containers. In course of time, in-house packaging manufacturing would include PET bottles and tetra packs, Anand said. The official said the idea for the can plant came from a road show organised by Saif Zone. “The fact that our roadshow was the reason this partnership came about is heartening … This is a promising indication we are moving in the right direction,” said Al Mazrouei. Delta Chairman Osman said his company would not have achieved this success in a short span of four years without the continuous support of Saif Zone. According to Delta, the company achieved a turnover of $46 million in 2015, around the same as in the previous year. Earlier the company almost doubled turnover from $24 million in 2013 to $46 million in 2014.